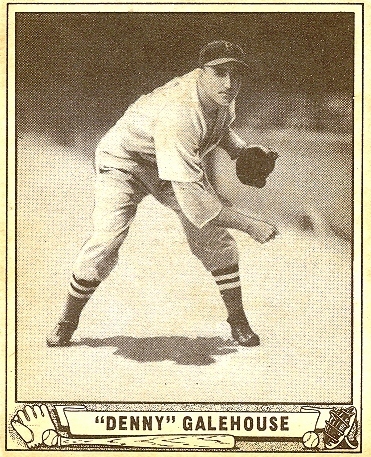 Denny Galehouse played football and basketball at Doylestown High in the late 1920’s, but only as a means of keeping in shape for baseball. During his senior year, he pitched every inning of every game in the state championship tournament. 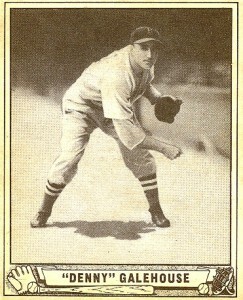 He was “discovered” while pitching for the Lakeland Beach Indians, and subsequently played for Cleveland, St. Louis and Boston in the American League. His pitching efforts in the 1944 All-St. Louis World Series were classics. He has scouted for Boston and Detroit, and is now with the Los Angeles Dodgers.